Maggie and Tyler Heath–maybe better known as the sibling duo The Oh Hellos–have announced that they’ll be following up their near-perfect 2012 release, Through The Deep, Dark Valley, with a brand new full-length this fall, titled Dear Wormwood. Yesterday, NPR had the honor of premiering the album’s new lead single and, if I’m being completely honest, it took me till today to stop listening to it long enough to write this piece. The Oh Hellos’ sense of melody is refreshingly organic and truly untouchable, due heavily in part to both members’ staggering vocal abilities. Their huge walls of eclectically layered instrumentation, which should overwhelm by all accounts, are so alluring; they simply embrace your psyche, leaving you no choice but to surrender to the comfort because nothing else compares. Give it a test run below and let me know if you agree or if I’m just waxing hyperbolic. Dear Wormwood is due out on October 16. Pre-orders should be available lickety-split. We’ll update this post with links when they surface. 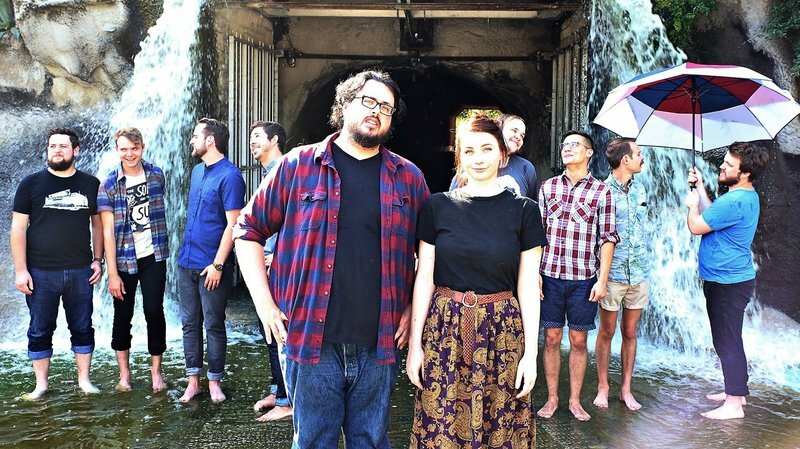 Meanwhile, if you’ve been sleeping on The Oh Hellos, you can chase “Bitter Water” with the entirety of their last full-length. More exciting yet, The Oh Hellos will support Dear Wormwood on the road this fall for at least 30 dates across The States. You can view the full routing below and pick up tickets here.